Discover more with Aso Geoguides! 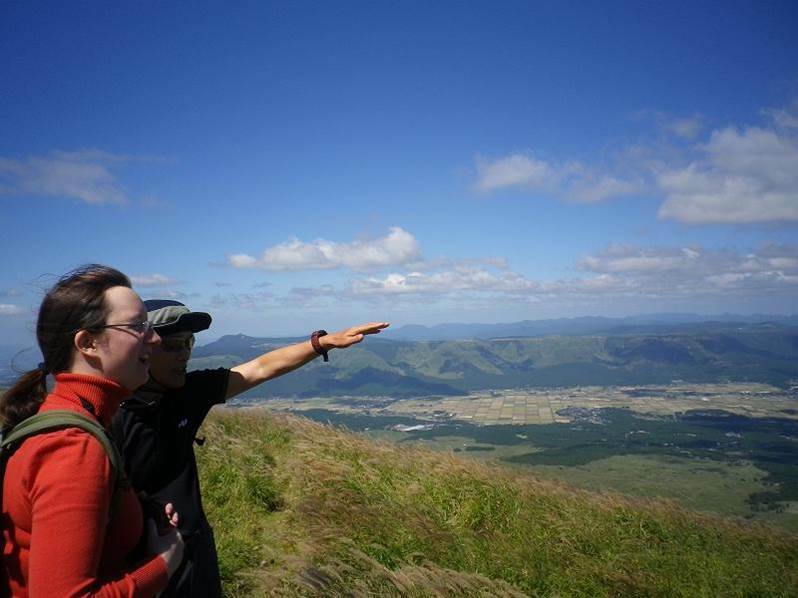 If you want to enjoy more about Aso Geopark, let’s walk with Aso Geopark’s skilled guides, who have wide knowledge in Aso’s volcanic history, geology and its unique culture! There are various trekking routes available. Remains of craters, pyroclastic plateau and gigantic caldera can be seen from the peek. The tour is available every day! Just book 2 weeks in advance.